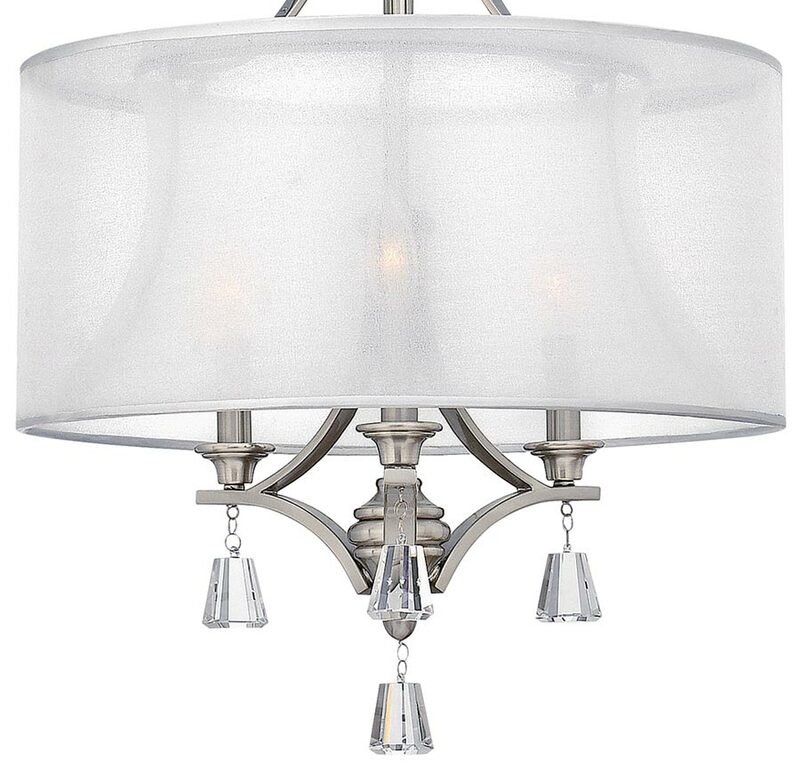 The Hinkley Mime sheer fabric 3 light chandelier in brushed nickel with crystal drops is contemporary, a stunning elegant ceiling light with translucent shade and hexagonal crystal decoration. 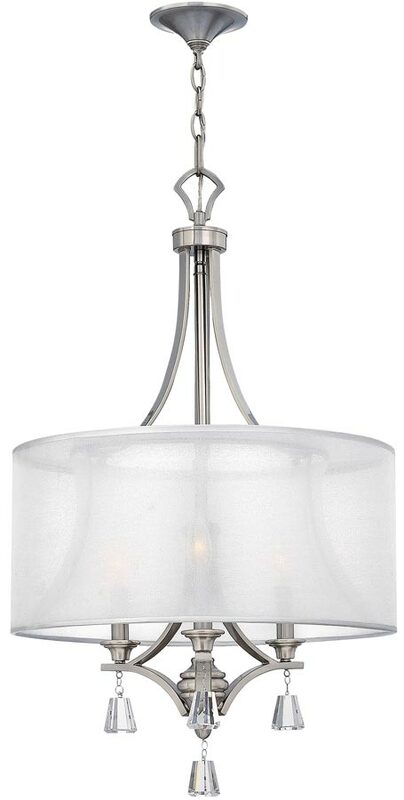 A lovely three light pendant chandelier, with a circular ceiling mount and chain suspension. The drop rod supports three wishbone arms that hold the lamps and radiate from the centre. The lamps are encased by a sheer translucent double hardback shade that extends around the sides for a softer mellow light, supported by a satin nickel frame that radiates from the top mount. Four heavy hexagonal crystals hang below that will add a touch of sparkle and glamour. Supplied with 200cm of chain for maximum flexibility. Height adjustable at the time of fitting by removing chain links to suit. Minimum height 95cm, maximum drop 291cm. Perfect for a living room, dining room, hallway or bedroom. There are matching fittings in the Mime contemporary lighting range that can be viewed below and includes a four-light pendant, a semi-flush ceiling fitting and a wall light. Designed in the USA by Hinkley Lighting, founded in 1922 in Cleveland, Ohio. 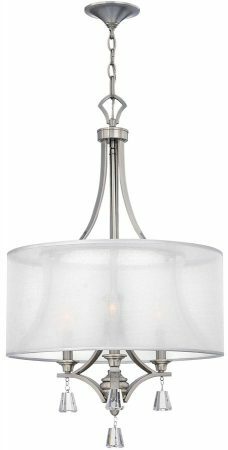 Their long heritage combines with a pursuit of innovative design to create modern and contemporary lighting such as the Mime sheer fabric 3 light chandelier in brushed nickel with crystal drops featured here.